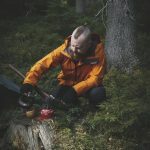 Hikeordie.com was founded by two regular guys through a mutual respect of the great outdoors, adventure and survival. 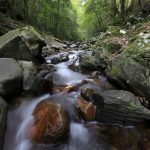 All hikeordie.com blogs, gear reviews & movies are the opinions and experiences of the writers themselves. We do not seek to inflate aspects of the events, nor do we attempt to hide our shortcomings, mistakes or lack of skills. Our aim is to give an accurate account of our experiences and with any luck, provide readers with some valuable information even it that is ‘what not to do’. We are not outdoors or survival experts of any kind. We mention products and brand names for you, the reader, to gain some insight into the gear we use and how it performs in our own ‘real life’ outdoor situations. We are not sponsored by and do not receive any payment from any of the brands we mention. If that should change at anytime in the future, we will not only disclose this to you, but still promise to maintain our honest reviews, good or bad. May contain occasional low-level course language and adult themes.